After struggling through a computing degree at University at the age of 21, Simon needed to get a job and managed to secure a call centre customer service job with Telstra, Australia’s largest Telco, and a lifelong career in contact centres was born. Simon quickly realised he had a natural gift for delivery of great sales and customer service and that a burning passion for continuous improvement had found its home in large and complex contact centre environments. Opportunities for coaching, training and quality management roles in Telstra and other large companies followed and was complemented very well by his experiences as a volunteer basketball coach for young kids throughout his twenties. In 2004, he took a leap into the consultancy space to build a Contact Centre Benchmarking Operation from scratch for an Australian Customer Experience Research company. His ongoing mystery shopping and quality monitoring of the sales and service delivery of most of Australia’s largest Contact Centres, gave him a unique insight into the state of play of the industry and the reality of customer experiences delivered. In 2009 he co-founded the company Five Degrees. As the current owner and director, Simon to this day continues to lead the way as Australia’s #1 expert in Contact Centre Quality Monitoring and Coaching-led transformation for his diverse range of clients. Late in 2016, his passion for coaching led to him launching ‘The Coaching Podcast’ with his co-host Emma Doyle. In their weekly episodes they feature coaching practitioners from around the globe and explore the keys to coaching success in both sports and business. He is most proud of being able to across his 25+ year career in Contact Centres directly help thousands of individual managers and frontline staff to develop a customer-centric mindset and capability to deliver incredible sales, service and coaching outcomes that they never thought was possible. Simon lives in the Eastern suburbs of Melbourne along with his partner Jane who is an experienced radio producer and voice-over artist. He is kept busy as a father of 4 kids, including 3 teenagers and a 5-year-old, and as a coach of his twin girls footy team. He also indulges his love of music when he can as a guitarist and singer-songwriter and also that of his beloved footy team, the North Melbourne Kangaroos. Simon’s five core competencies for Contact Centre sales are intuitively correct and have been proven to deliver results. Developed after more than 20 years of working for and with a diverse set of Contact Centres, they are a fantastic way of transforming your internal culture and your external Customer Experience. If you want to improve your sales teams’ performance and build an engaging, supportive coaching environment, Simon will get you there. 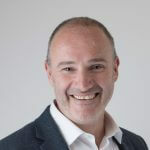 Simon’s insights will motivate and guide your leaders and sales teams with structured, practical processes that can be adapted to any sales or service organisation. It’s a brilliant and motivating model where mediocrity is challenged and opportunities created. It works! I thought I would let you know that it is the most outstanding Customer Service course I have ever done! From the video’s to the role-plays and the general interaction with the guys. They were both professional and fun. Thanks! OMG … Can I just say that I used the Five Degrees strategy today as an approach for a potentially difficult conversation that really provided the framework that made it easy. Thanks Simon, I really don’t think it would have gone so smoothly without the Five Degrees experience! CX Skills deliver specialist CX and contact centre training with courses for frontline agents through to senior executives. We’ve got lots of great articles on contact centre training tips, how to improve your CX and more on our popular CX Central website. CX Skills is part of CX Group Australia - providing products and services to support the CX & Contact Centre industry in Australia.